Fruit Hampers can be delivered on the same day if your order for Sydney Metro is placed before 8am. If you have an urgent delivery request we can also offer an express delivery service for an additional charge. 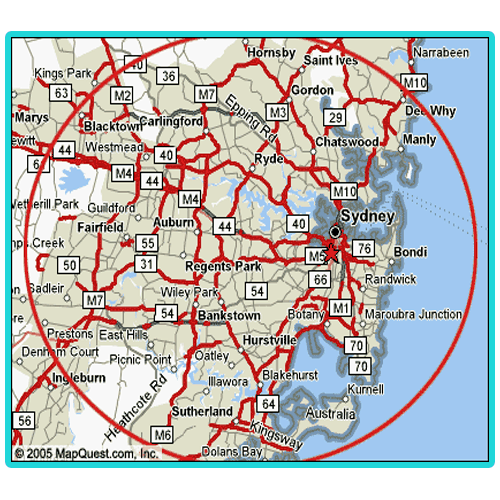 Please call us to discuss any urgent deliveries in the Sydney Metro area. Allowah Presbyterian Children’s Hospital, Dundas. Berkeley Vale Private Hospital, Berkeley Vale. Central Coast Day Hospital, Erina. Centre for Digestive Diseases, Five Dock. Crows Nest Day Surgery, Crows Nest. Dee Why Endoscopy Unit, Dee Why. Hunters Hill Private Hospital, Hunters Hill. Lady Davidson Private Hospital, North Turramurra. Liverpool Day Surgery, Chipping Norton. Long Jetty Health Care Centre, Killarney Vale. Macquarie University Hospital, Macquarie University. Mater Hospital Sydney, North Sydney. Miranda Eye Surgical Centre, Miranda. Mona Vale Hospital, Mona Vale. Mount Druitt Hospital, Mount Druitt. Mount Wilga Private Hospital, Hornsby. North Shore Private Hospital, St Leonards. Norwest Private Hospital, Bella Vista. Ophthalmic Surgery Centre (North Shore), Chatswood. Pennant Hills Day Endoscopy Centre, Pennant Hills. Perfect Vision Day Surgery, Hornsby. Prince of Wales Hospital, Randwick. Prince of Wales Private Hospital, Randwick. The Sydney Adventist Hospital, Wahroonga. Royal Hospital for Women, Randwick. Royal North Shore Hospital, St Leonards. Royal Prince Alfred Hospital, Camperdown. South Pacific Private, Curl Curl. St George Private Hospital, Kogarah. St John of God Burwood Hospital, Burwood. St John of God Richmond Hospital, North Richmond. St Luke’s Hospital, Potts Point. St Vincent’s Private Sydney, Darlinghurst. Sydney Day Surgery – Prince Alfred, Newtown. Sydney Dental Hospital, Surry Hills. Sydney Hospital / Sydney Eye Hospital, Sydney. Sydney South West Private Hospital, Liverpool. The Children’s Hospital at Westmead, Westmead. The Hills Clinic Kellyville, Kellyville. The Hills Private Hospital, Baulkham Hills. The Skin & Cancer Foundation Australia, Westmead. The Surgery Centre Hurstville, Hurstville. The Sydney Private Hospital Inc the NSW Eye Centre, Ashfield. Thomas Walker Hospital, Concord West. Tresillian Family Care Centre, Kingswood. Vision Day Surgery Chatswood, Chatswood. Vision Day Surgery Hurstville, Hurstville. Woy Woy Hospital, Woy Woy.